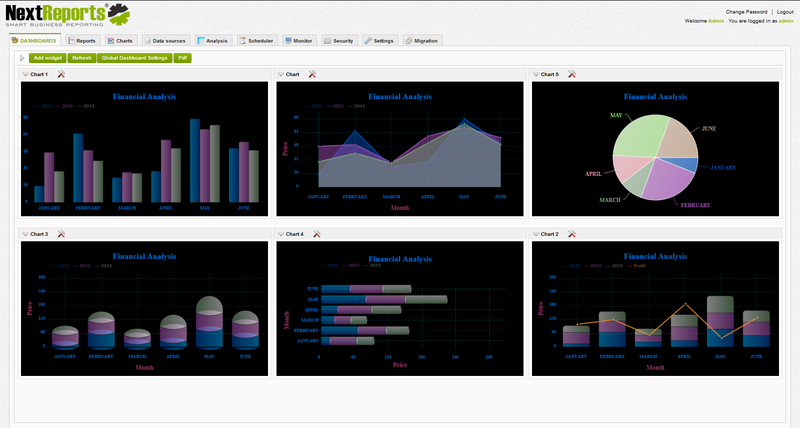 NextReports 8.0 will allow users to capture a dashboard as PDF. 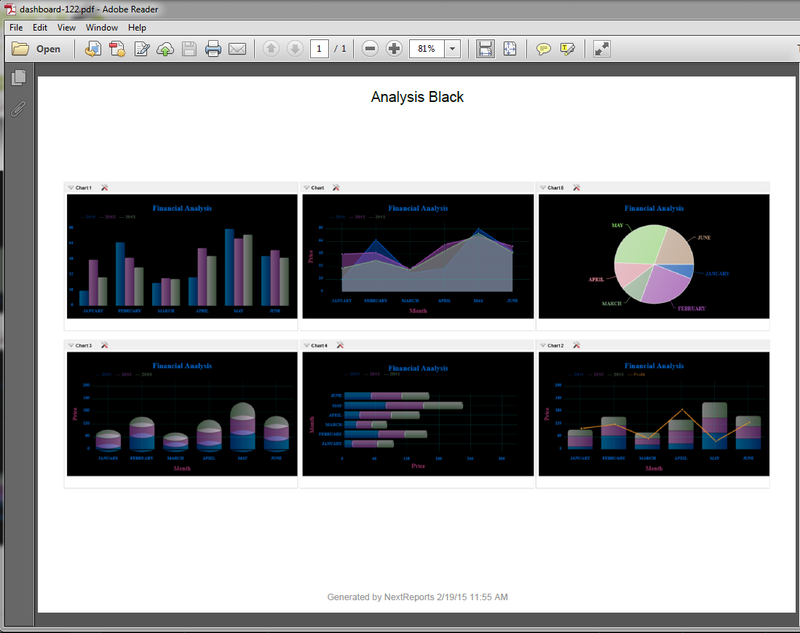 PDF file will contain a single landscape page with the visible part of the dashboard. This means all content which is not visible, because a scroll is involved won't be captured.